On Tuesday, the five UN veto powers (US, UK, France, Russia and China) and Israeli German colony, signed an agreement with the Islamic Republic, the Joint Comprehensive Plan of Action (JCPOA) after 12-year foot-dragging by the US and France under Israeli pressure, in Vienna. The said agreement will be presented to the United Nations Security Council (UNSC), which will adopt a resolution in seven to 10 days making the JCPOA an official document. Robert Parry, an American investigative journalist wrote on July 14 that the agreement between P5+1 and Iran is a rebuke to Netanyahu’s warmongering. However he warned that Netanyahu is not known for taking a defeat to stop his evil-doing. He wields more sway with US congress and the mainstream media, which parrots his lies. Unfortunately, Iran’s military has nothing to celebrate. The conventional arms embargo on Iran essentially stays for another five year – making Iranian forces difficult to defend its nation from its regional enemies. 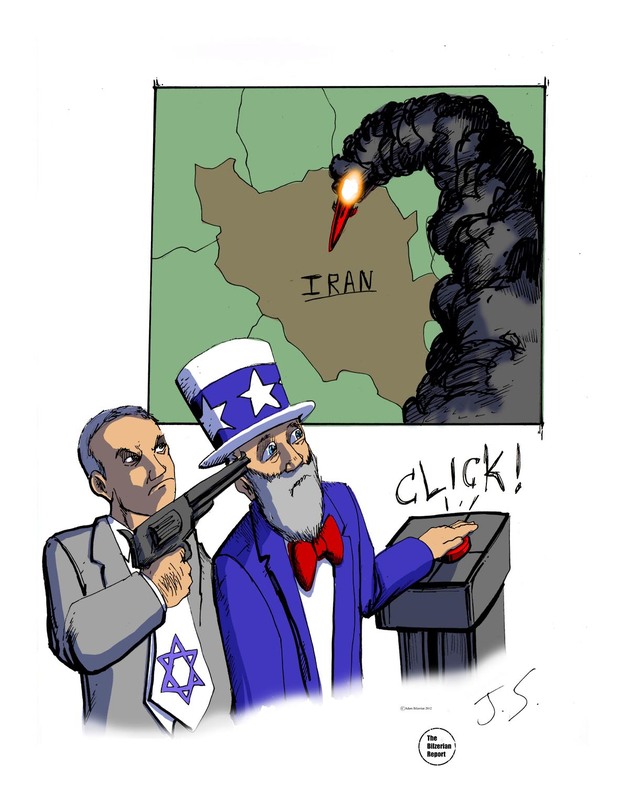 It’s absurd considering Iran’s enemies, the Zionist entity, Saudi Arabia, Egypt and Qatar are free to buy tens of billions of dollars worth sophisticated armament from the US, UK, France, Germany and Russia. To this deal, I have one question: As it seems, Iran has accepted the deal not requesting that existing nukes in the neighborhood (Israeli nukes) be taken away How come? After all, the idea behind the deal is to keep the ME free of nukes. The idea behind the P5+1 deal is to keep Israel’s monopoly over NUKES in the region.